Don't toss your iPod away when the battery dies! Don't pay Apple the $99 to replace it! Install a new iPod battery yourself without Apple's "help"
· Includes hacks of today's most popular gaming systems like Xbox and PS/2. 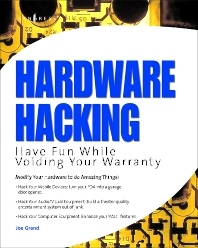 · Teaches readers to unlock the full entertainment potential of their desktop PC. · Frees iMac owners to enhance the features they love and get rid of the ones they hate.